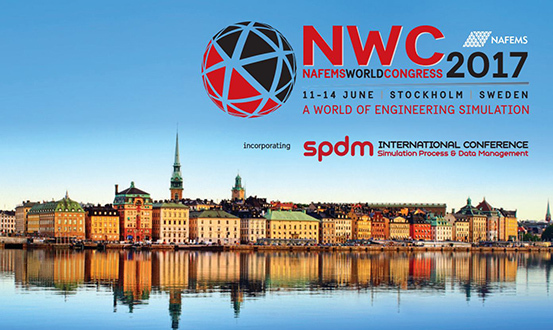 We’re excited to attend the NAFEMS World Congress 2017 which incorporates the 3rd International Conference on Simulation Process & Data Management next week in Stockholm, Sweden from 11 – 14 June. Bringing together industrial users, technology experts, academics and software vendors, this is an ideal forum to explore advances in numerical simulation, engineering analysis, modelling and systems engineering and their growing role in product development around the world. 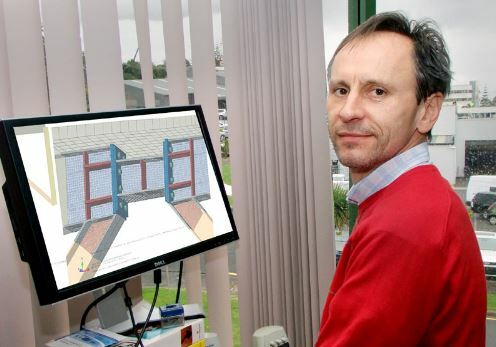 For HERA, this is an opportune time for our Finite Element Analyst Nandor Mago to learn new techniques from international experts to benefit our members and share his expertise on predicting the performance of light steel framed flooring in multi-storey residential buildings for the National Association of Steel Framed Housing. “I was able to use sequentially coupled thermal-stress analyses to compare the performance of two experimentally tested ceiling/floor systems through simulation prior to fire testing, in order to obtain fire ratings aligned to international standards,” he said. General Manager Structural Systems Dr Stephen Hicks went on to say that technology is fast becoming mainstream and conferences such as NAFEMS are vital if we’re to stay at the forefront of them and benchmark ourselves against our international peers. “Having our team there allows us to keep a finger on the ‘technology’ pulse, share knowledge, and uncover collaboration opportunities when it comes to finite element analysis, computational fluid dynamics and multibody simulation advances – and we look forward to sharing these new insights with our members in the future,” he said. Be sure to connect with Finite Element Analyst Nandor Mago and see his presentation on the fire performance of light steel framed floors in multi-storey residential buildings next week on 14 June, 11.10am, Room C – 7C Civil Engineering or alternatively you can contact him directly.